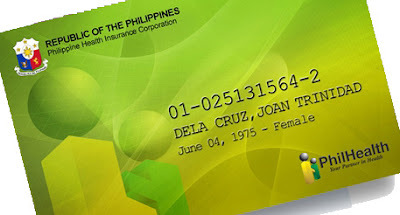 Matudnila.com - A Cebu Events Blog: What are the Benefits and Discounts of an iPhilHealthy ID Card? Home Watsons Discounts What are the Benefits and Discounts of an iPhilHealthy ID Card? What are the Benefits and Discounts of an iPhilHealthy ID Card? The new PhilHealth ID Card or the so called new I-PHILHEALTHY Card form Philippine Health Insurance Corporation (PhilHealth) will ensure adequate and affordable Social Health Insurance Coverage for all Filipinos. The new PhilHealth iPhilHealthy ID Card is a reward and privilege card to be given to all existing and future active PhilHealth members. The new PhilHealth ID Card is an example of a Public-Private Partnership (PPP) concept. The new PhilHealth ID (photo from skamid.com) cardholders may avail special privileges such as discounts when buying Medicines, Vitamins, Medical Equipment, including Health Services like Eye Exams, Drug Testing, or Vaccination at participating company branches nationwide. Discounts on Various Drugstores (Watson’s & Rose Pharmacy). Discounts on Various Generic Drugs. Discount on Drug Testing Upon Renewal of Driver’s License. Discounts on Different Types of Vaccines. Discounts and privileges will expand as PhilHealth continues to partner with other private companies. The new Philhealth card is more than just a discount card. Since it can also store pertinent cardholder information such as the Member Data Record (MDR). Philhealth’s next phase of implementation is to install terminals at accredited Philhealth hospitals so that a member can just “swipe” the new Philhealth card to generate his/her MDR, which is necessary in settling a hospital bill after confinement. 0 comments: on "What are the Benefits and Discounts of an iPhilHealthy ID Card?"